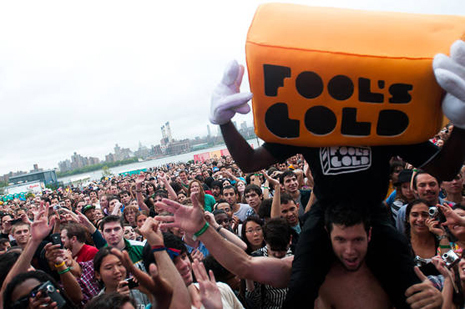 Thanks to everyone who braved the elements with us last Sunday for “Pool’s Gold” at the Jelly Pool Party, and came out soggy-but-smiling on the other end after rocking with Chromeo, Kid Sister, The Suzan and Telephoned. Check out a slew of great pics from Nicky Digital (who captured the show, the lounge and the afterparty, featuring Nick Catchdubs, Vin Sol, Gant-Man and a lotta bowling), Metromix, Stereogum, Brooklyn Vegan, Village Voice (blog + slideshow), Luca, Sheena Beaston, QRO (1, 2, 3) and a bunch of vids from We Stole The Show. If you have any more galleries, post em in the comments!